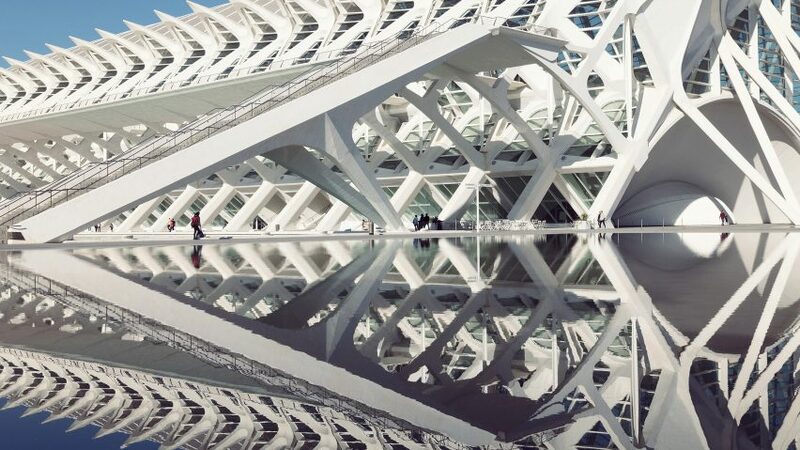 In his latest photo series, Sebastian Weiss hones in on bright white details of Santiago Calatrava's Valencian art complex, blocking out the larger picture to capture a blanched kaleidoscope of repeating struts and identikit forms. 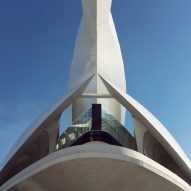 The series, White Sculptures, takes a close-up look at Calatrava's handsome but controversial City of Arts and Sciences scheme in Valencia, which has attracted plenty of criticism for far outstriping its original build budget. "With the series White Sculptures, I explore the flexible boundary between architecture and sculpture in Calatrava's unique architectural language," said Weiss. 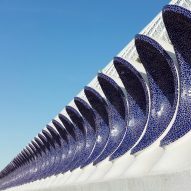 "His buildings in the Ciudad de las Artes y de las Ciencias (City of Arts and Sciences) appear like vivid corporeal objects, which contain filigree but strictly systematic structures." Weiss frames the complex's pointed spire, taut tensions cables and facade details independently from the overall form to pick out honeycomb, gridded and linear patterns. By fragmenting up the huge landmark forms, he presents the structures as pieces of elegant sculpture rather than architectural spaces. "My intention with this image sequence is to carve out the dynamics of the stylistic vocabulary in his lively ensemble of buildings," said Weiss. 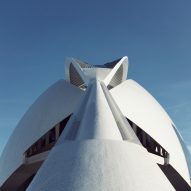 "As a photographer I am fascinated by the overlapping of sculptural and architectural elements in Calatrava's oeuvre, as they seem to complement each other and even merge to a harmonic unity," he added. "In particular with the effect of sunlight, the buildings appear like being arranged in a light-space installation." 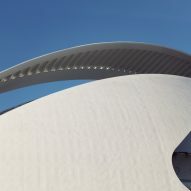 The photoset also includes a shot of the undulating roofline of Félix Candela's Oceanografic building at the City of Arts and Sciences. German photographer Sebastian Weiss uses the Instagram account Le Blanc to document snippets of buildings on his travels across Europe. In an essay written for Dezeen, he discussed how he uses close-up shots to "liberate buildings from their spatial context". Photography is by Sebastian Weiss.